Earlier this month, we said our final goodbyes to Windows XP and welcomed Windows 8.1 Update 1 with open arms. However, it still looks like one of the best ways for Microsoft to move forward is for it to look backward. 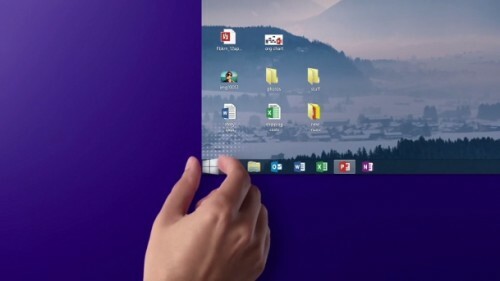 That's exactly what could be happening in a few months when the Start menu makes its triumphant return to Windows. Some of us, begrudgingly or not, may have grown accustomed to the Start screen by now, but we still have our preferences for the original Start menu. It's just an easier way to navigate around the different installed programs in a logical, hierarchical structure. There will likely be some differences in the new version, possibly borrowing inspiration from the Live Tiles of the Start screen, but "sources close to Microsoft" are saying the Start menu will be implemented this August. This could be rolled into part of a bigger package, like Windows 8.1 Update 2 or Windows 8.2, and we won't have to wait for Windows 9 for it to happen. Are you excited to get your Start menu back?